Tags: chai, Indian_British_American_Culture, Indian_history, Indian_Independence. Last month, India – one of the world’s largest democracies – celebrated 68 years of independence from British rule. 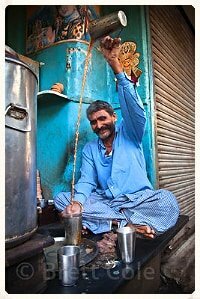 We hope some of you were able to come in and celebrate with us and enjoy Chai and Pakoras on the house! 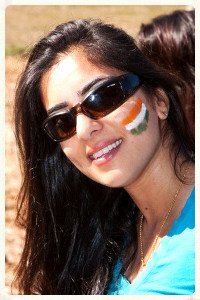 Me, with the Indian Flag on my cheek. I’m incredibly patriotic and proud to be Indian and was fortunate enough to have spent seven formative years at a boarding school in the pristine beautiful mountains of Panchgani, India. I was, however, born and raised in London and simultaneously identify myself as British. And now 15 years after arriving in SF, I’m also part American too (unless Donald Trump wins the election). Underneath it all, I’m Indian at heart and love spices – whatever all this means. The mind boggles with philosophical questions – what does it truly mean to be Indian or American or British. Do I belong in either country or culture? Having felt a misfit on and off my whole life I’ve concluded for me it means being able to take the best of each culture and ditch the rest. To appreciate that despite the violence and tyranny that occurred with the British colonialism there were historic events that set some positive side effects in motion. My grandparents suffered through a gruesome horrific splitting of Pakistan and India, leaving them homeless, penniless, losing family members and eventually migrating to England to start all over – resulting in me being able to write this piece here and introduce home-style Indian food to SF. Indians being who we are, took a strong somewhat unpalatable expensive drink of black tea, made it cheaper by adding milk, tastier by adding spices, sweeter by adding sugar (coincidentally the British also had a mound of sugar to sell) – and theatrics and skill to the pouring of the tea. Almost a century later we have a drink that has stood the test of time and growing in popularity around the world. Not to mention some of the best tea in the world is now grown in Darjeeling India and painstakingly each leaf is individually hand picked, mostly by women. Think of that the next time you sip your chai.